Dramatic results in just one 7-10 minute session! Active FXTM treatments are the most desirable and high satisfaction rated procedures at The Institute. In 2004, Dr. Glenn DeBias innovated the first ever fractional CO2 laser skin resurfacing protocol, known worldwide as Active FXTM. Since his innovation, Dr. DeBias has performed over 22,000 FX facial laser skin tightening treatments. Achieve significant long-term improvement in skin tone, texture, and tightening with one treatment! Dramatic Results in One Week! Active FXTM is a 7-10 minute procedure utilizing a fractional CO2 laser device to resurface facial skin primarily. The procedure is also performed on neck, chest, arms, torso, and legs. It is the GOLD STANDARD fractional laser treatment for face and neck skin resurfacing and laser skin tightening. The most dramatic results involve the 3 T’s – Texture, Tone and Tightness of the facial and neck skin. CO2 laser skin resurfacing involves heating the dermis to promote new collagen and elasticity. This helps patients refresh their appearance and offset the effects of aging. It is a proven way to help diminish fine lines and wrinkles, age spots, acne scars, while thickening the skin and improving skin health. The CO2 laser has a 25-year track record of delivering dramatic results and refreshment. The Active FXTM procedure is still considered the most dramatic skin laser treatment requiring minimal downtime. Active FXTM offers a safe and natural result helping people look the best they can for their age. What is the cost of fractional CO2 laser skin resurfacing with Active FXTM? The introductory cost of a full face Active FXTM treatment is $895. Who are the best candidates for fractional CO2 laser skin resurfacing? Teenagers up to patients in their 90’s are ideal candidates for this procedure. The Active FXTM CO2 laser treatment is a desirable solution for individuals who want to reduce the signs of aging and refresh their youthful skin appearance. Teenagers treat their acne scarring and breakouts. Both men and women have visited Dr. DeBias to experience the gold standard for laser resurfacing. This treatment has been especially popular for individuals between the ages of 40 and 70. What are the primary targets of laser skin resurfacing? Are laser resurfacing treatments safe? Lasers have been used in cosmetic and aesthetic medicine for decades. Skin resurfacing procedures have been proven to provide safe, predictable, and effective results when used by trained physicians on appropriately selected patients. Alternative treatments, such as deep chemical peels and dermabrasion, have largely been replaced by laser procedures due to being safer, more effective in results, and less uncomfortable. The precision and uniformity that laser resurfacing provides gives a more consistent and reproducible endpoint. 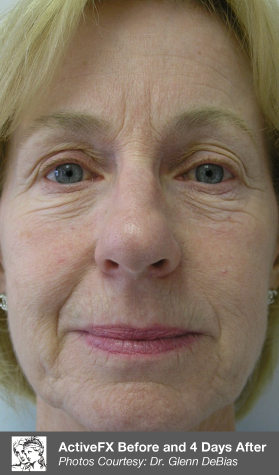 How does fractional CO2 laser skin resurfacing work? The fractional CO2 laser delivers thousands of tiny laser pulses in a pattern over the skin. Each pulse heats a column of tissue eliminating pigment discolorations at the surface and creating a zone of heating deep in the tissue. Unique to the CO2 wavelength, these zones of heating shrink collagen immediately. The CO2 laser also stimulates collagen, thereby remodeling the skin further for firmer, tighter skin. Patients can select from a range of treatments depending on the needs of their skin and lifestyle. What can patients expect after fractional CO2 laser skin resurfacing? The epidermis (outer layer of skin) sloughs off and, as a result, the new epidermis is smoother, tighter, and more even in skin tone. Furthermore, the dermis (deeper layer of skin) produces more collagen leading to thicker, stronger, and firmer skin support. With fractional CO2 laser skin tightening, only a fraction of the skin’s surface is treated by the laser, leaving small “bridges” of untouched skin. This technique makes the healing process much faster and enables you to get back to normal activities sooner. Is there recovery or downtime for fractional CO2 laser skin resurfacing? With fractional CO2 laser facial resurfacing, the skin goes through an initial inflammatory process lasting 24 hours. The next three days result in sloughing of the old epidermis with subsequent production of a healthier, firmer, smoother, new epidermis. At this point, most patients return to normal activities and makeup may be applied. The goal today is to achieve your best skin health for your present age. Combined with this is a skin health regimen to maintain this best look despite ongoing aging. In order to attain this goal, Dr. DeBias combines both the use of the most highly innovative technology AND a discernible artistic eye. Fractional CO2 laser skin resurfacing treatments have helped hundreds of thousands of people offset the effects of aging while providing a refreshed look. Active FXTM (fractional CO2 lasers) involve techniques that are more safe, comfortable, require minimal downtime, and provide dramatic, longer-lasting results. 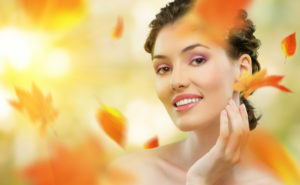 Refresh Your Look & Optimize Your Skin Health with Active FXTM!